This gorgeous mountain view is courtesy of Ashoken Dreams. Their 30 acres located in the Catskill Forest Preserve contain a rustic B&B. 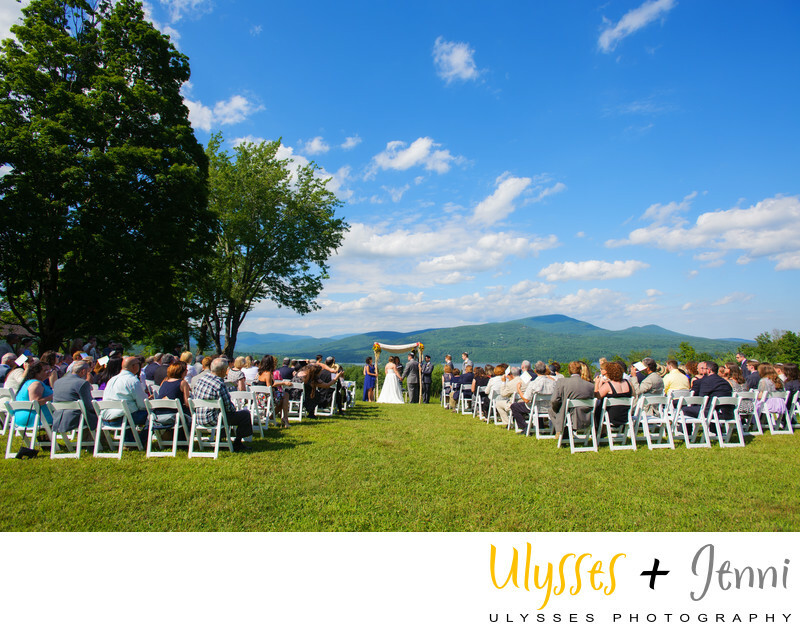 They also have phenomenal views of the Catskill Mountains, the Ashokan Reservoir, and the Berkshire Mountains. As a guest, they will serve you gourmet breakfast each morning with homemade baked goods, local and organic foods, and house-made maple syrup! The converted 1780's barn has so much atmosphere. They take only a limited number of events, so contact them early if you're considering their site. We love looking for wide angles like this to show off their rolling mountain view. Location: 111 High Point Mountain Road, West Shokan, NY 12494 . Keywords: Ashokan Dreams (3), Jewish (45), Julie + Sam (3), Summer (231), wedding (528), wildflowers (6).